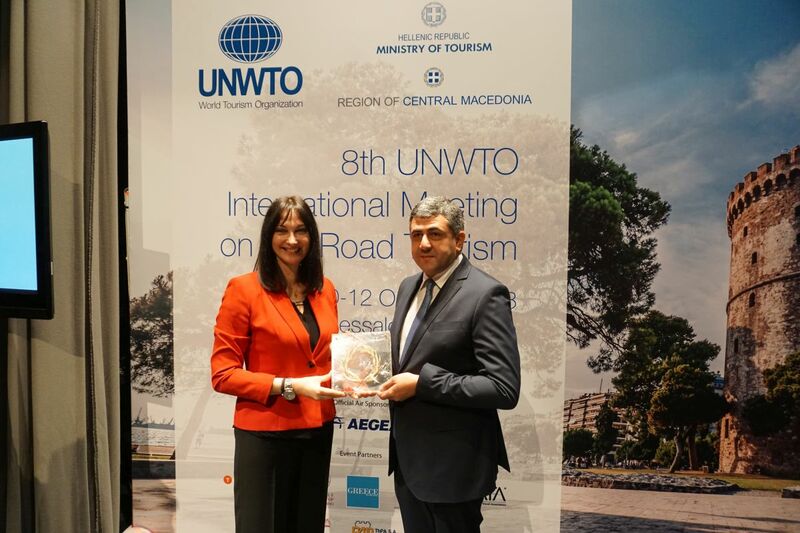 UN World Tourism Organization (UNWTO) Secretary General Zurab Pololikashvili on Wednesday, in the presence of a number of tourism ministers from all over the world, congratulated Greece for its successful tourism year. Speaking during the opening ceremony of the 8th UNWTO International Meeting on Silk Road Tourism in Thessaloniki, Pololikashvili applauded Greece for its high progress in tourism after some six years of very difficult times that included political crisis, economic crisis and natural disasters. 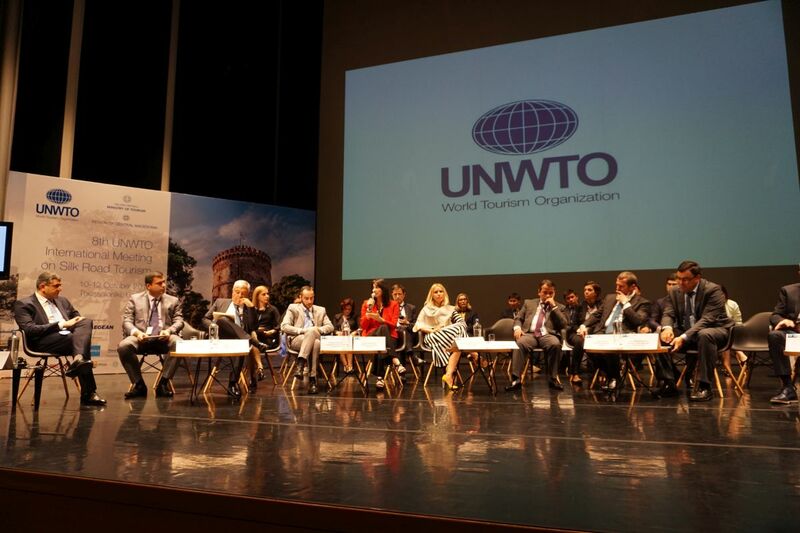 “It is not so easy to solve such problems and at the same time to maintain a number of visitors and the quality of services, which is very important,” the UNWTO’s secretary general said. 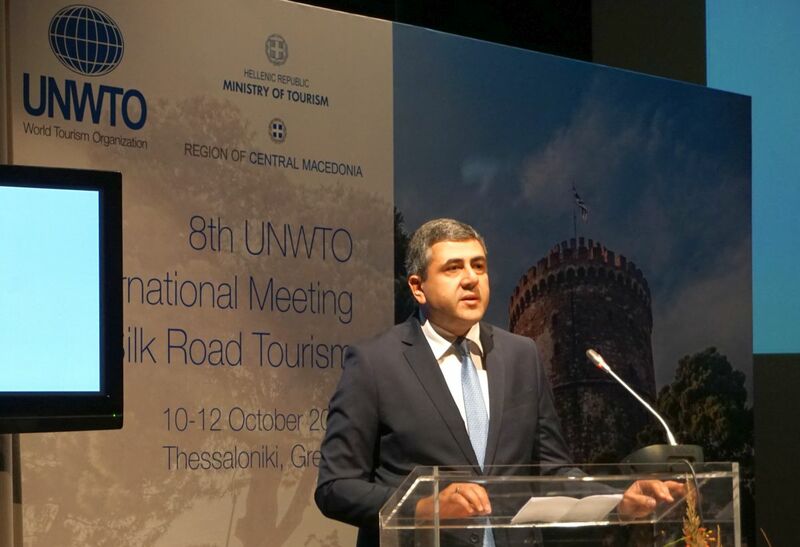 “We really want to use Greece as a showcase for many countries that had the same kind of problems,” Pololikashvili said, adding that Greece is now on its way of becoming a 365-day a year destination while following a specific tourism strategy. “This is very important in tourism today because many countries need the experience on how to attract visitors during the four seasons and you’ve done very nice and interesting work. Thank you again for your example,” he added. 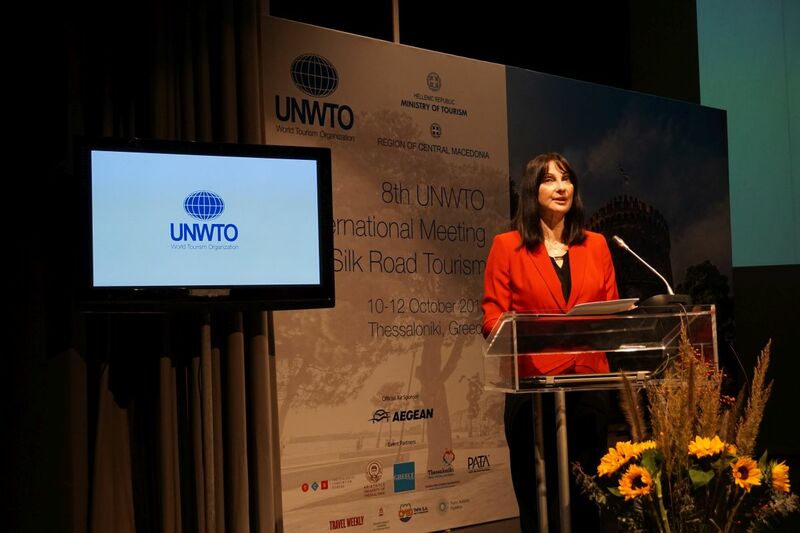 Greece is the first European country to host the UNWTO’s international meeting on Silk Road tourism, a collaborative initiative designed to enhance sustainable tourism development along the historic Silk Road route, which links China with the West. “Following two meetings in China, today we meet for the first time in Europe, at the Western Silk Road. This meeting will shape our common course of action for the Silk Road of the coming years,” Pololikashvili said, underlining that the Silk Road goes beyond geography. “It also means shared interests, actions, development needs and opportunities,” he said. According to Pololikashvili, the Silk Road can become the new “brand” in the field of world tourism. Referring to the Silk Road tourism project as “the most significant transnational travel route of the 21st century”, Greek Tourism Minister Elena Kountoura said that Greece has the strong will to make the Silk Road travel experience a reality and be part of it. The updated version of the UNWTO’s Silk Road Action Plan is now under review and the minister expects it to be an ideal road-map that will give Greece the guidelines to work for the next four years. “Under this plan we can now work together to define and introduce destinations, new products and selected routes for silk road experiences linking tourism, culture, trade, business development and capacity building including education, at national and transnational level,” she said. Moreover, noting that the Silk Road is the “road to the future”, the minister focused on the ministry’s concrete plan which repositioned Greece’s tourism brand not only as an ideal sea & sun destination, but also as a top choice for authentic travel experiences 365-days a year, along with genuine Greek hospitality. “In the years 2015-2017, we increased inbound tourism by 25 percent, 2 million additional visitors each year, and reached 30 million visitors in 2017 including cruise arrivals, with historical records in revenue and all tourism figures,” Minister Kountoura said. According to the minister, 2018 is expected to be a “phenomenal year”, with a 17 percent yearly increase in tourism revenue and 15 percent in arrivals and a total of more than 32 million international visitors. Family photo of tourism ministers of the UNWTO’s Silk Road Ministerial Roundtable session. The 8th UNWTO International Meeting on Silk Road Tourism kicked off at the Thessaloniki Concert Hall with a rich program including a ministerial roundtable and specialized sessions focused on assessing the role and relevance of the historic Silk Road routes within a globalized setting. 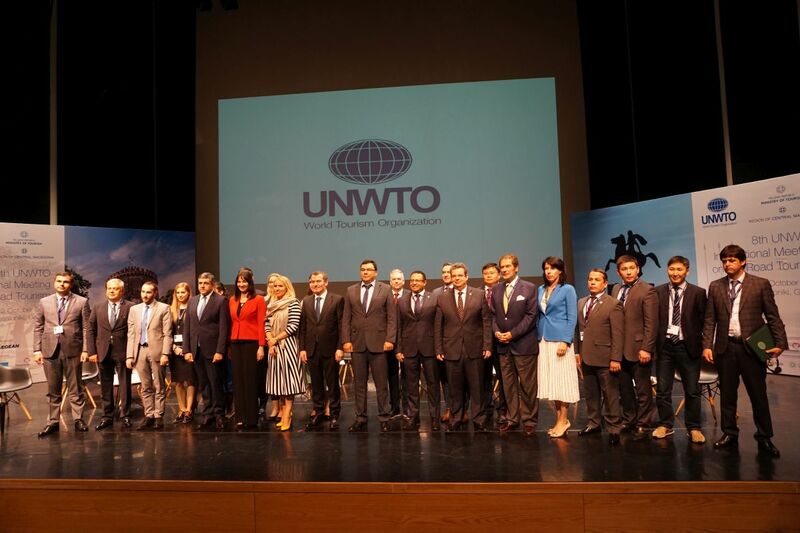 Τhe high level international event is jointly organized by the UN World Tourism Organization (UNWTO), the Greek Tourism Ministry and the Region of Central Macedonia. The second day of the event will take place at the Grand Hotel Palace and will kick off with a joint UNWTO and PATA (Pacific Asia Travel Association) session on “Connecting Asia and Europe through the Silk Road”.